Andy Warburton has taken his initial concept of a Raspberry Pi-powered nightlight and re-invented it using an ESP8266 board. The ESP8266 (which you can find on, for example, the Wemos D1 mini) is a marvellous chip which is Arduino IDE-compatible and has built-in wifi capabilities. Andy has used WS2812B strip LEDs wired to the ESP8266 board to illuminate a diffuse, smoked enclosure. He’s then started up a Pi, which controls the timing and colour of the LEDs, and developed his own stripped-back protocol to communicate the status of the LEDs with the ESP8266. 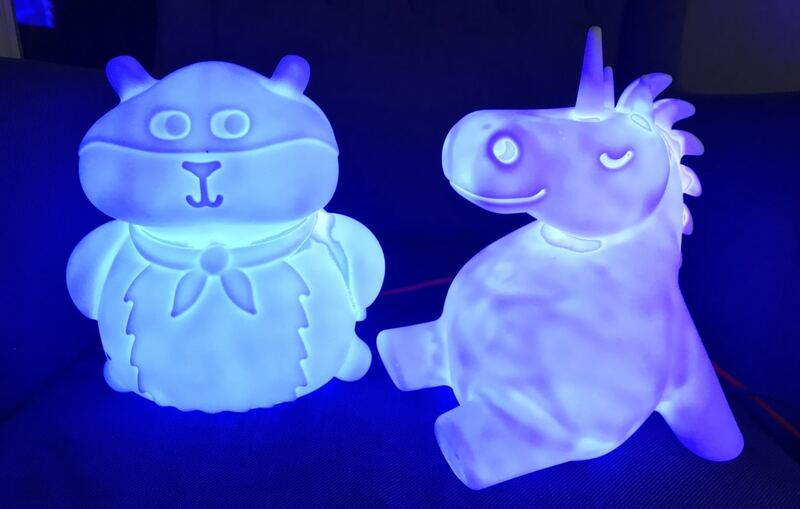 The practical upshot is that he’s got multiple ESP8266-powered nightlights which receive instructions over his home network from a Raspberry Pi. You can see how he did it, including all the wiring-up instructions and the code as part of his extremely well-written blog post here.